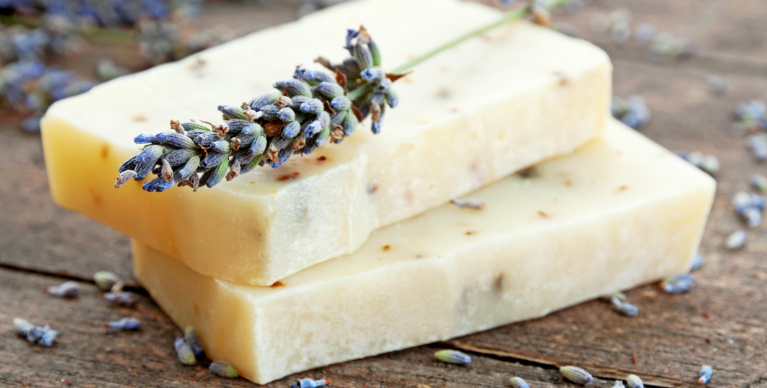 In the benefits and uses of Castile soap: Part 1, we listed the top benefits and most popular uses of Castile soap for the body. The benefits don’t stop there, because Castile soap is much more than a body and hair wash. In the benefits and uses of Castile Soap part Deux we list the most popular general uses – I feel some of them will surprise you! In all recipes – add a few drops of Essential Oils, if desired, for added scent, cleaning and disinfecting effects. 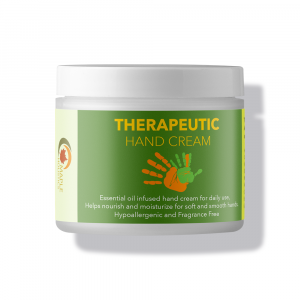 Like Tea Tree Oil for its anti-bacterial benefits. 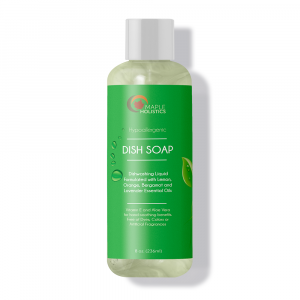 Click Here For The Lowest Prices On Castile Soap! Going DIY is healthier and can save you money. You can use Castile soap for cleaning pretty much anything in your home. I have used it for cleaning my oven, microwave, kitchen counter tops, the bathroom tub, tile floors, toilet, bathroom sink, and so much more. 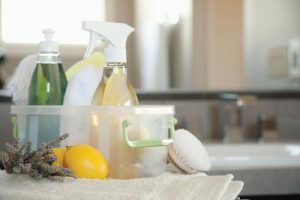 As stated in the first article, you can save money on store bought cleaners and opt for a more natural, non-toxic household cleaner. Recipe: 1Tbs. of soap to 2 cups of warm water in spray bottle, shake and mix well. Castile soap makes a great dish cleaner. 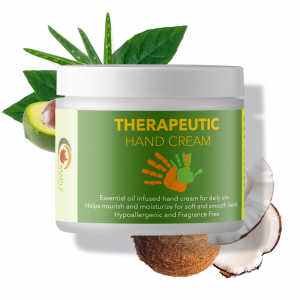 It’s all-natural, which means no chemicals on your hands or dishes. It can be used for hand-washing dishes or even in your dishwasher. When washing by hand, first wash the dishes with the soap and then use white vinegar as a rinse to remove any film left behind. I much prefer using the soap for hand-washing dishes rather than using it in the dishwasher where I’ve sometimes have had mixed results. If you’re adventurous, try it! Recipe: Add half a cup of soap and mix it with half cup of water. Use 2 Tbs. per load in the dishwasher. In this case, what’s good for you is also good for your pets, use the same ratio that you use to prepare your body wash to create an awesome pet shampoo. Wet the coat of your pet thoroughly first then apply the liquid Castile soap by massaging a small amount in your hands first until a lather is formed, then washing the hair/fur and rinsing clean afterwards. Recipe: Same ratio as body wash recipe. Keep the soap out of their eyes and water out of their ears. You can make yourself a chemical free laundry detergent that is safer and better for you, your clothes and the environment! Your clothes will likely last longer since they will not be exposed to harsh chemicals, and you can avoid irritation of the skin from the artificial detergents and perfumes among other ingredients that are often found in the store-bought laundry products. Recipe: Mix soap with water in a ratio of 1:3. Add a dash of baking soda. Best when used in soft water. Use 1Tbs. of vinegar only for rinse aid. A few drops of an Essential Oil will really give your clothes an amazing fresh smell. DIY car cleaner is better for your health and the environment. 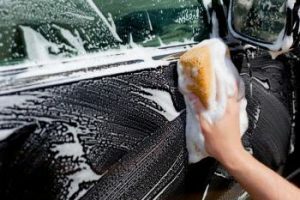 This gentle, non-abrasive Castile soap cleaner solution won’t leave streaks on your car’s exterior, windshield and hubcaps, and is excellent at removing fabric stains from the interior. Why not show your car the same consideration you show your body and house? Recipe: 1/4 cup soap to 2 cups of warm water in bucket. Castile soap efficiently loosens grime and dirt from surfaces, but it is gentler, so it won’t dull them. This mix is good on most floors. Recipe: Add 1/8 of a cup of soap to one gallon of warm water in a bucket. This mixture in a spray bottle can be used to deal with a bug invasion and on your indoor and outdoor plants to keep away harmful pests from eating them. You need to make sure not to use too much soap on the plants as it can be bad for some, but when used as a straight insecticide, the more you add, the more powerful it can become, so adjust as needed. Recipe: Add 1Tbs. of Castile soap to 1 gallon of water, any more soap can burn the plants. Castile soap can act as a great eco-friendly carpet cleaner. After blending it to a foamy consistency, it is easy to rub into the stains. Now it just needs a thorough scrub. Recipe: Mix 1 part soap into 4 parts water. Blend the solution and stir until it foams. Single-use antibacterial wipes are certainly convenient to have around the house, but they can also be expensive if you go through a lot of them and they create unnecessary waste. Using just Castile soap, Essential Oils, and a few old t-shirts, you can easily create your own convenient and reusable wipes! Recipe: Let the cut up strips of t-shirt soak in 2 Tbs. of Castile soap and a cup of water. Various Essential Oils have anti-bacterial and disinfectant properties that will really make these wipes useful. Keeping your makeup gear clean is really important for hygiene. Makeup brushes can harbor lots of old makeup residue, dead skin cells, germs, oil, dirt and bacteria… You get the picture. Cleaning your makeup brushes is also necessary to keep them in good shape so you don’t have to waste money on replacing them so often. With this simple mixture, you’ve got a hypoallergenic brush cleaner. How often should the brushes be cleaned? 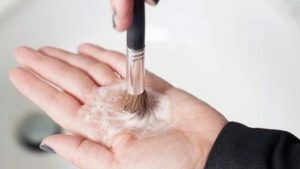 A great rule of thumb is that any brush used on a liquid cosmetic (like concealer, foundation, eye primer, lipstick, etc’…) should be cleaned every day. For all other brushes, they should be done at least once a week. To get the most effective results, clean your brushes one at a time and be sure to not scrub too hard or the bristles can be pulled out. It is best to wash brushes at night so they have time to air dry overnight. Be sure to keep the brush pointing downward as to not get the metal part of the handle which contains the glue or the brush handle wet, because the soapy mixture can cause the glue to become undone. Recipe: A few drops of Castile soap mixed into some warm water in a cup. Make sure to use warm water, because if it is too hot your brushes can start shedding! As stated before, some mixtures can burn plants. When you need to keep certain plants at bay, Castile soap can kill leafy weeds without leaving the soil poisoned. Recipe: Add 2 Tbs. of Castile Soap and 2-3 Tbs. of salt to 2 cups of water. Spray the plants you wish to kill in the morning, and again in the afternoon. Repeat if necessary but results should begin to show within hours. You want to make sure to deal with the two most common stains on mirrors and glass: Dust, dirt and grease smudges, and left over mineral deposits from water evaporating. To get the best results, you’ll want to first wash with the Castile soap mixture to remove the dirt and greasy spots, and then you’ll want to follow that up with vinegar which will break down the mineral deposits. Recipe: Mix 2 tsp. of Castile soap and 2 cups of preferably distilled warm water (so as not to leave any mineral deposits, defeating the purpose of this mix) into a spray bottle. Blend well by giving it a good shake and spray onto your windows and mirrors. Use newspaper, a micro-fiber towel or hand squeegee to clean it, leaving it streak-free. 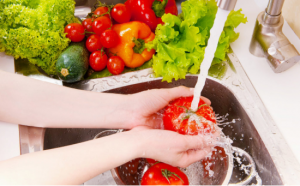 the last thing you want is to wash your produce in more toxic chemicals, so preparing this recipe will allow you to get a good clean rinse that is more thorough than just water, and without the harmful effects of a chemical agent. Recipe: Add 1/4-1/2 tsp. of soap to a bowl of water and dip in the produce. Swish them around in the bowl or gently rub the rinse over them with your hands, the wash them well to remove the soap rinse. Make this all-purpose bathroom scrub with the help of baking soda and Castile soap. The baking soda, which is a gentle abrasive and natural deodorizer, will help to really get at the grime and remove it. Spray the area you want to clean with the mix, and then add baking soda before scrubbing with a scouring pad or scrub brush for a squeaky clean bathroom. 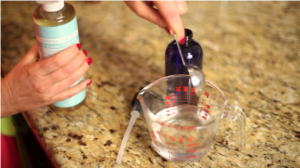 Recipe: Fill a spray bottle with Castile soap and water in the ratio 1:3. Using baking soda as needed. Make Your Own Castile Soap! The beauty of using Castile soap for treating skin issues such as acne is that as a soap it contains very few synthetic ingredients such as sulfates, parabens and alcohol-based solvents that are commonly found in most conventional forms of facial cleansing products. While these chemical ingredients may help to make the products more effective in terms of cleaning the surface of the skin, they also tend to dry the skin out and may cause a great deal of irritation to sensitive skin types, worsening the problem further. Add the olive oil, coconut oil and the essential oils to a large, (6 quart minimum) crock pot or slow cooker. Turn the crock-pot on high. While the oils are warming, put on your safety gloves and goggles, and carefully measure the potassium hydroxide lye into a stainless steel or pyrex bowl. Measure the water into a medium stainless bowl or pyrex pitcher. Set the container with the water into your sink, then very carefully tip the lye flakes into the water. Stir to dissolve. When the oils in the crockpot are warm, carefully tip the lye solution into the oils. Leave the crockpot on high. Use an immersion blender to blend the oils and lye solution together. Immediately after adding the lye solution to the oils, blend for about 5 minutes, until the mixture looks uniformly opaque and begins to slightly thicken. For the next 30 minutes, come back and blend the soap paste about every 5 minutes. The mixture will get thicker and thicker, progressing through an icing texture to something like Elmer’s glue. When the soap mixture becomes too thick to blend with an immersion blender, lid the crock pot and cook the soap mixture for 3 hours on high. Every 30 minutes or so, come back and fold and stir the soap paste with a heat-resistant silicone spatula or heavy wood spoon to ensure the soap paste cooks evenly. As the soap cooks, it will become increasingly translucent, moving from a runny white liquid to a puffy taffy texture to, eventually, a yellowy-clear, thick, translucent gel. After 3 hours, or once the paste looks fully translucent and gelled throughout, check the soap with a clarity test. Measure out an ounce of soap paste (about a golf-ball sized blob will do it). Add 1/2 cup of boiling or very hot water to the soap paste. Stir gently until the soap paste is totally dissolved. Allow the dilute soap to cool. If the soap is opaque, or if a scum of oils floats to the surface, continue cooking your soap paste for another hour before re-testing. If the dilute soap is clear (it needn’t be colorless, just translucent), proceed with dilution. Add 10 cups water to the soap paste in the crockpot. Break up the soap paste into the water as best you can but don’t worry about the paste dissolving fully. Lid the crock pot and turn the heat to warm for 8 hours or overnight. If you happen to walk by, give the soap a stir to help it along but don’t worry if you can’t. After 8 hours, if you notice chunks of remaining soap or thick skin of soap forming even after the chunks of soap dissolve, add another cup or two of water to further dilute the paste. When your soap is fully dissolved with no chunks of soap paste remaining, ladle your dilute soap into a perfectly clean and dry 1-gallon glass or plastic jug. Those are my top uses for Castile soap and I’m still discovering new ones all the time. I prefer using the unscented Castile soap because I can add whatever Essential Oil combos, like lavender and lemongrass, I want to it both for scent and added benefits without it becoming overpowering. As a douche: Castile Soap should really only be used for external use on the body. As a deodorant: Sure you could wipe the oil on your underarms, but it won’t do anything to keep you from sweating and smelling, plus you’ll feel sticky all day. As a toothpaste/mouthwash: The internet is full of recipes for these purposes. You can try it (just put a drop on your toothbrush), and some people do. However, not only will it foam a lot, but no matter what Essential Oil you used, it will still taste like soap. So really, why would you want that in your mouth? Find Great Deals On Great Soap! The soap is concentrated and potent: Dilute, dilute, dilute! Never pour Castile soap directly onto your skin or hair, it is far too strong and will not cause the results you’re hoping for out of this amazing product. The more soap you use the stronger the solution will be, but in general, a little soap goes a long way. Finding the right dosage will not only cause the soap to last longer, but will save you money and any adverse effects of too much of the soap. Different strokes for different folks: All the recipes above are suggested amounts. It is not for everyone because we all have different hair and skin that reacts differently to different products. Try experimenting by using the soap with different dilutions (1 teaspoon and one cup water, or 1/2 teaspoon and 2 cups of water, etc.) until you find the right dilution for you. It might sound like a lot of work, but really it just adds to the fun of discovering and creating your very own natural homemade mixtures. 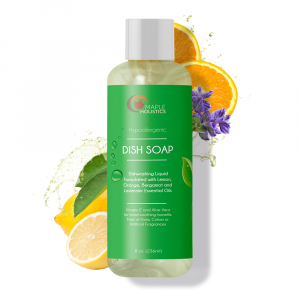 Balancing pH levels: At first, new users of Castile soap will sometimes want to balance out the alkaline of the alkaline in the soap with an acidic solution, the best way to do this is to rinse afterwards with an acidic rinse such as vinegar or lemon juice. However, as stated in the first article, do not mix an acidic solution with a basic solution, because the acid will just render the base soap useless, leaving a mess. It is not color safe for hair: Castile soap doesn’t make good color safe shampoos. The high alkaline content in the soap can open the hair cuticle (its outermost layer) thus releasing the hair dye quicker from the hair strands leading to faded dyed hair. 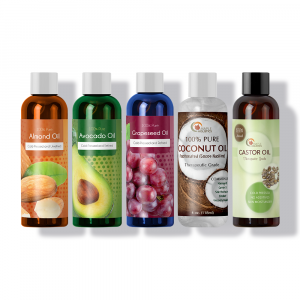 As long as you keep these in mind, I have no doubt that you’ll be as taken by the amazing amount of uses and benefits Castile soap provides as I and millions of other have. Enjoy!